Are you looking for an innovative way to inspire imagination and creativity in your child? We’ve found something that will have them weaving tall tales of fancy in no time. When it comes to imaginative play, some kids catch on early and are really into it, while others take a while to warm up. We have both kinds of those kids in my house. I have a daughter whose imagination is so wild that she’s invented not just an imaginary friend, but a whole imaginary race of people (the Pickadons) who live in her wardrobe, but my other two children require a bit more encouragement to get the creative juices flowing. 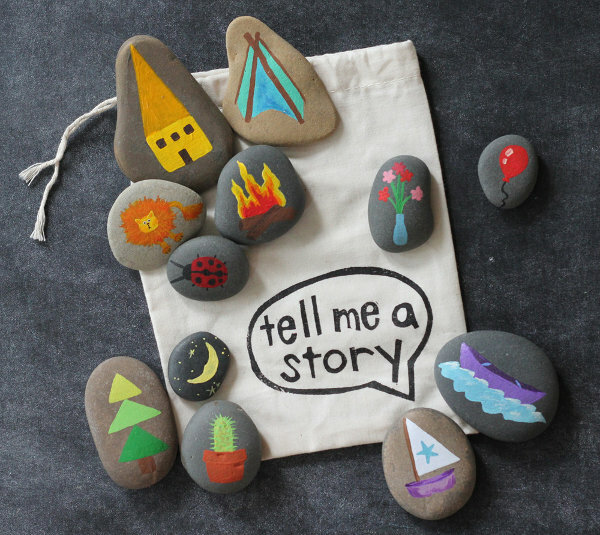 These are the Story Stones from Crafting Connections, a creative magazine that’s all about inspiring creativity and imagination in young ones and their families. 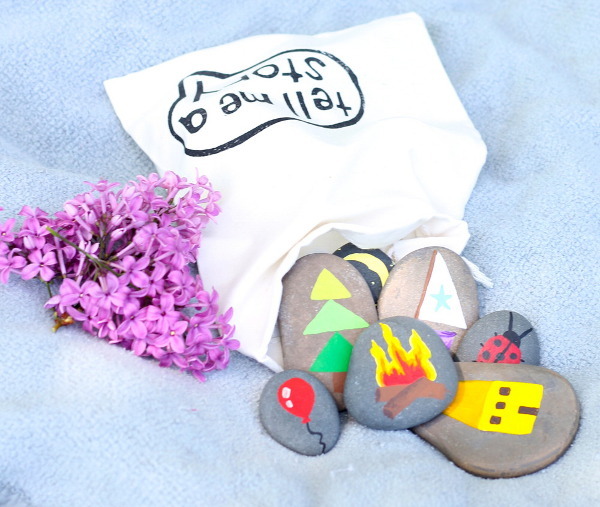 Each set includes twelve handpainted stones which come in a little bag and are painted with images meant to prompt you (and your child) in your storytelling efforts. There are different pictures in every set, so each is unique and will lead you down a different path. Each stone is also painted with a hardwearing sealant to stop it from chipping or fading. Story Stones are $42 per set from Crafting Connections. While you’re looking around, why not also check out their tips on how to become a better storyteller!